Diamonds are girls’ best friends, is a phrase which was coined in the 20th century, but since then received such world-wide attention that there is not a place in the world where women don’t know about it. 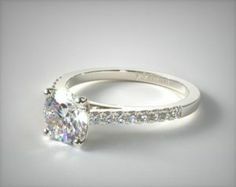 However, diamonds are rare and expensive, which means not everyone can afford them. But, what we can all afford are cheap replicas that come in the shape of commerce jewelry. 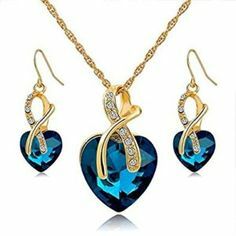 Here are just some of the reasons why there is no shame in using commerce jewelry which can in some cases even be better than the real deal. Sometimes, commerce jewelry is honestly the best choice. Not so much for the price, but for the mere quality which can sometimes be very high and guarantee that such pieces will last long. However, if you are in the situation to frequently wear jewelry, you could also think about this solution as it will give you more options. Not everyone can afford wearing real diamonds all the time, and commercial jewelry might be just what the doctor ordered if you too have to wear big chunks of jewelry frequently. Also, it should also be mentioned that nowadays there are such quality pieces of jewelry that it is almost safe to say that it will give you no problems such as staining or rusting. Nowadays, even the cheap commercial replicas of jewelry are made of top-notch, quality materials, and they guarantee durability. Also, it is possible to keep them in good condition for longer periods of time if you know just how to take good care of it. Cleaning jewelry is also pretty simple, all you need is some toothpaste. But make sure you get the toothpaste which is entirely white and do not use any water when applying the toothpaste to the pieces of jewelry. Let it just sit for a while, generously applying the toothpaste to it, and then softly remove it with a cloth or a toilet paper or kitchen towels. Are Diamonds The Key To Happiness? Not. However, that being said a lot of people are more concentrated on the said value of diamonds and could not tell a diamond from a fake piece of jewelry anyway. So, if you want to make yourself happy, I would say go with commerce jewelry. 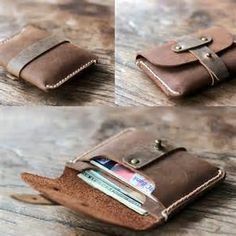 It is easy to get; it is easy to replace, it will give you no headaches if you lose it or find it stolen. Some alternatives in between are precious metals and semi-precious stones, often done pretty in gold or silver. Also, surgical steel is one of the variants which could give interesting results. If you are allergic, then you will have to pay special attention to the materials that you can or cannot wear, but as far as the aesthetics go, it can pay off to get any of these solutions, rather than real diamonds. 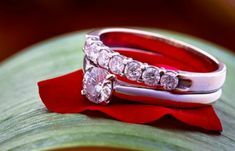 The Designer of Perfect Leather Goods	How to choose a perfect engagement ring for your girlfriend?